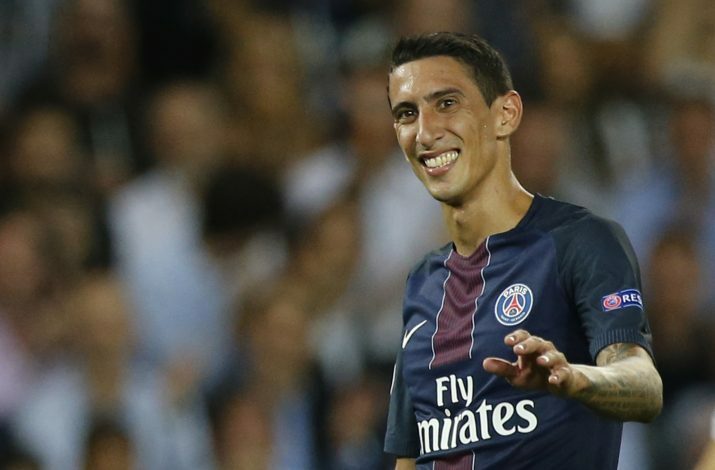 Chelsea boss Antonio Conte is reportedly interested in bringing Paris Saint Germain winger Angel Di Maria back to the Premier League. According to Spanish paper Don Balon, Conte is a big admirer of Di Maria, and is keen on bringing the Argentine to Stamford Bridge as he attempts to guide Chelsea to the Premier League title. Reports suggest that the 28-year-old attacking midfielder has become unhappy at the Parc des Princes after the appointment of Unai Emery in the summer, following the departure of Laurent Blanc. Di Maria moved to Premier League giants Manchester United back in 2014 for a then club record fee of £59.7 million, but his time in the north-west will no doubt go down as one of the worst years in the forward’s career. He was signed by Louis van Gaal, who himself had just joined the club after leaving his post as Netherlands manager. Despite making a brilliant start to his career in English football with some stellar performances, Di Maria’s form quickly began to drop well below the expected level of a player of his capability. Many fans, pundits and the player himself put this down to him being constantly played away from his preferred role by van Gaal. As a result, his form suffered and the player was dropped to the bench, and struggled to get back into the side. To make matters worse, thugs attempted to break into the Argentine’s house, which led to him moving to a hotel with his family. His unhappiness on and off the pitch got too much for him, and he eventually handed in a transfer request and signed for PSG for a reported fee of £44 million. His move to the French capital saw him revive his career, and he enjoyed a stellar first season with the club. However, Di Maria has reportedly not been happy with the appointment of Unai Emery, and despite his struggles with United, is keen on returning to the Premier League.